Just do a search for “My Little Pony Cocktails“. 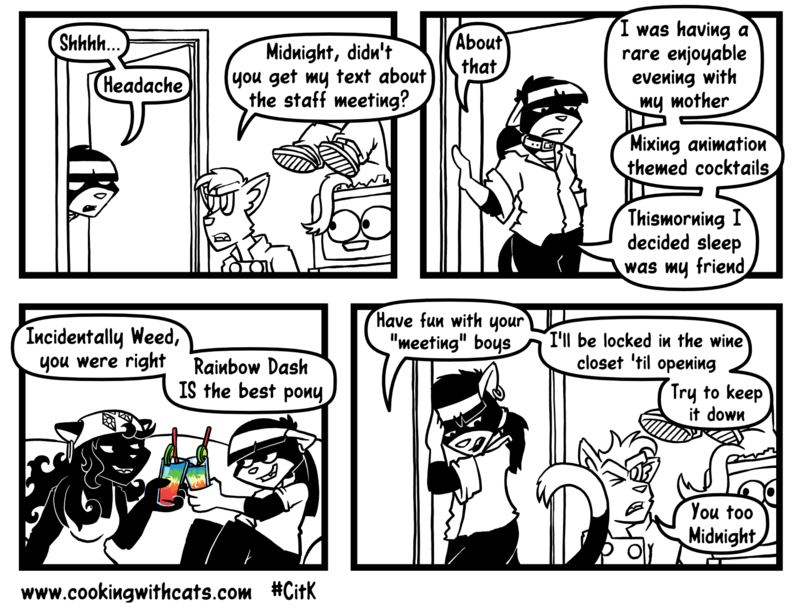 The “Rainbow Dash” that Midnight and Jinx are enjoying there isn’t from one of those lists, but it looks tasty. That third panel is brought to you by Samantha. I’ve been nursing this bit for a while, but while she was proofreading the script, Sam said I should have the drink in colour. I’m so glad I listened.